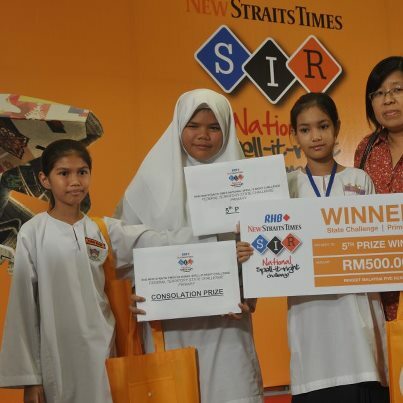 5 students represented SKSBU for Spell-it-Right State Level Competition 2012 on 8/7/12 at Time Square. Aina Baharudin won RM100 for the consolation prize while Hanissa Zahidi won the 5th prize of RM500. All participants received a certificate each.Congratulations !